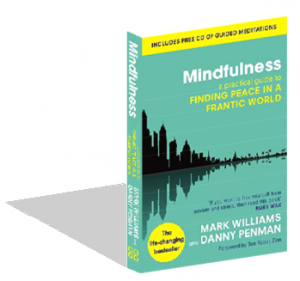 This course is an excellent introduction to mindfulness practices which have been proven to help people deal more effectively with stress, anxiety and mild depression. It is based on Mindfulness Based Cognitive Therapy and can help you to appreciate each moment of your life more and so improve the quality of your life. This course follows the book Finding Peace in a Frantic World which you will be provided. The weekly sessions are 75-90 minutes and inlcude, meditations, mindfulness in daily life and mindful movement. We recommend that you commit to daily home practice of 10-20 minutes twice a day. This gives you the best chance of learning the skills and helps to build mindfulness into your daily life. Please note this course is not designed for people who are acutely ill or who wish to be passive recipients of support and advice, nor is it a substitute for professional therapy. Please look in Frequently Asked Questions for advice about mindfulness and mental well-being.